Spectacular scenery surrounds this little valley: fertile fields, green forests and wild rivers that flow into fjords from high peaks. Summer visitors can gorge on strawberries whose like are not found anywhere else: pick your own or buy from farms or shops. This area is paradise for kayakers, rafters and hikers. Drive the winding Trollstigen – “Troll’s Road”, part of the Norwegian Scenic Route – and take a boat to the Seven Sisters waterfalls by Geiranger fjord. Freshly caught salmon or trout is on every menu. Stay in a cabin at Muri Hytteutleige (from £50 for two) or indulge at Juvet Landscape Hotel in the forest (doubles from £235). Norway’s most southerly town is famous for white wooden houses, beaches and beautiful islands. Families from all over the country spend their holidays in seaside cabins here and create a lively vibe. The locals love music and art: every year sees some 200 concerts and countless exhibitions. To me, Mandal defines summer, with sun, sea, sand, shrimps and something sparkling to drink. Rent a boat at Tregde Ferie (from £56 a day) and stay at the Old Jailhouse (double “cells” from £50). This village by beautiful Hardanger fjord is not a tourist destination: its only hotel recently closed down. But there are rustic rooms at Kvam Rural Museum’s idyllic 270-year-old store house (€144 for two). In Øystese, check out Ingebrigt Vik’s sculptures at the museum named after him. I also love walking behind the spectacular Steinsdalsfossen waterfall in Steine, hiking in beautiful Fitjardalen valley, and relaxing by the strange Goldfish Lake. There’s year-round skiing at Fonna Glacier ski resort. There’s something special about our light in northern Norway, and the colours below. You see them from a plane: the snow on the tops of the Lyngen Alps, the dark green forest, and the water in different shades of blue in fjords, lakes and rivers. The midnight sun is powerful. In the winter, you’re surrounded by snow and breathe this fresh air that’s sometimes so cold it can hurt. You’ll never get tired of the northern lights. 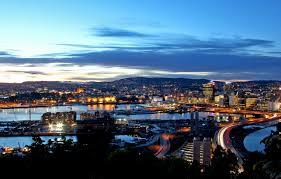 Stay in lively, multicultural Tromsø, called the “Paris of the North”, at the Edge Hotel, (doubles from £115 B&B). A 25-minute ferry ride across the Hidle fjord from Stavanger, Jørpeland is a tiny town surrounded by pretty villages. Only a few thousand people live here, but there is a lot to do, from kayaking and hiking to fishing. I’d check into Verkshotellet (doubles from £110 B&B). 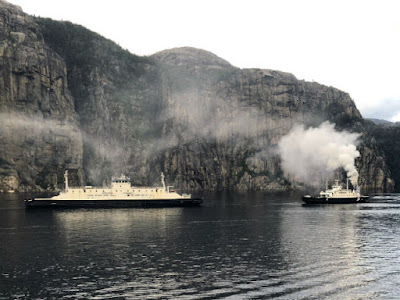 This wonderful hotel dates from 1912, is next to the harbour and only 10 minutes from Preikestolen (Pulpit Rock), a 604-metre cliff above Lysefjorden, which recently starred in Mission Impossible.